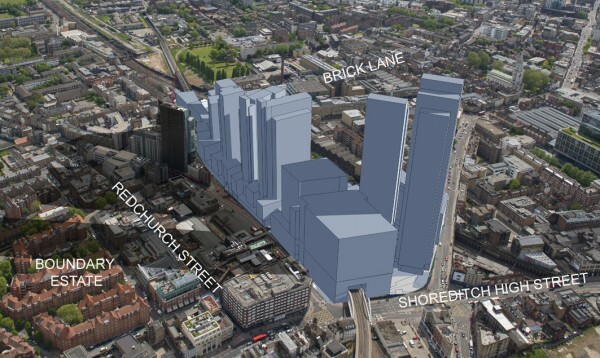 Read the response from Boris Johnson to our open letter of objection to the proposed Bishopsgate Goodsyard plans here. We are pleased that the Mayor will consider the points we have raised. However, it is critical to keep up the pressure. Businesses interested to add their name to our letter should email; bgybusinesslist@gmail.com. We will present the final list of businesses when the Hearing takes place at City Hall. It will be a powerful statement if local businesses fill the chamber. If you would like to join us at the Hearing please sign up to our mailing list so that we can inform you of the details as soon as the date has been confirmed. Affordable workspace in the proposed development is currently at 10%, but negotiations are taking place between the developers and the Mayor. We will be able to comment on this once the Planning Report is released, one week before the Hearing. All the towers contain predominantly luxury housing. The large low block opposite the Tea Building would be office / workspace. Feel free to Tweet these excellent GIFS created by Dazzle Ship. Simply pull them onto your desktop to upload them to social media. 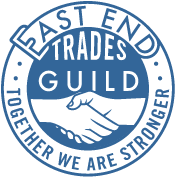 Summer Volunteering with the East End Trades Guild!